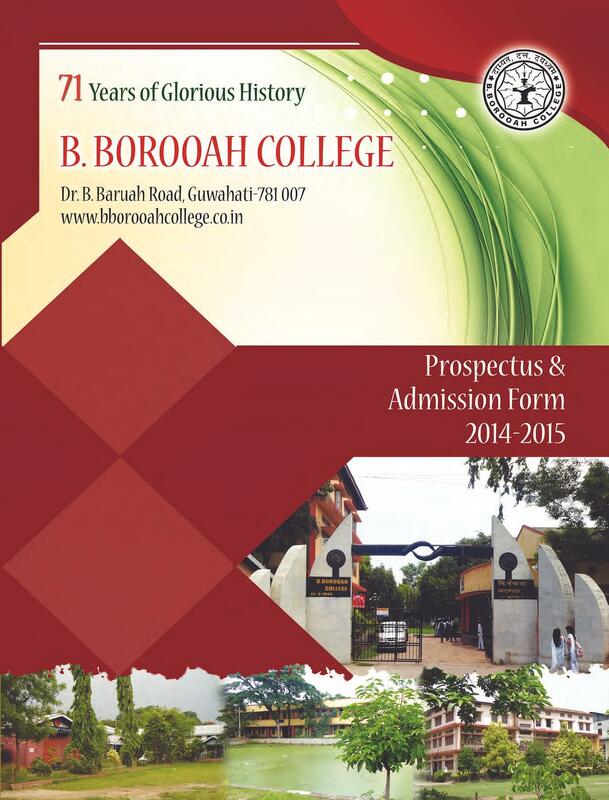 B Borooah College located in guwahati is a good one. From every aspects one can learn a lot. 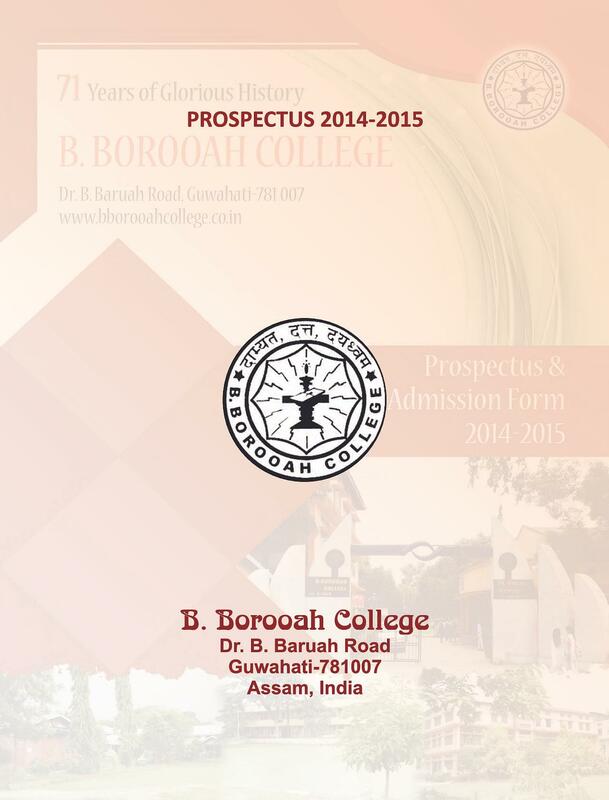 Overall B Borooah College is a one of the best College in the state of Assam as well as North East India. The cultural terms of the college is mentionable. Singers and actors like Zubeen Garg, Adil Hussain, etc. 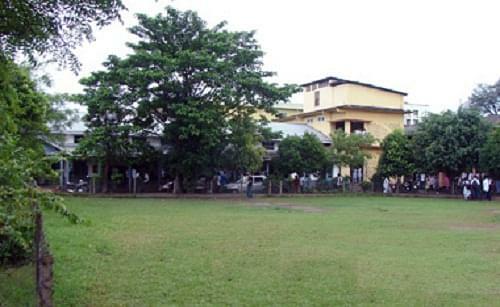 are the alumni of the college. Bad: I stayed on Hostel. But there is no WiFi Which other college hostels have. 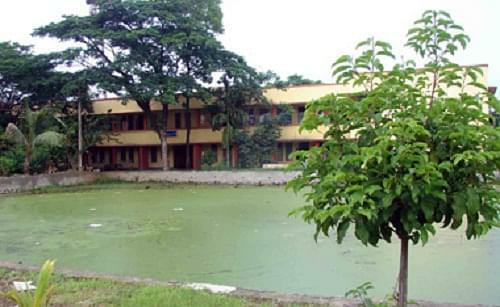 Also no girls hostel in this college. Placement is very poor.Good: They provide scholarship to all candidates who have BPL certificate. 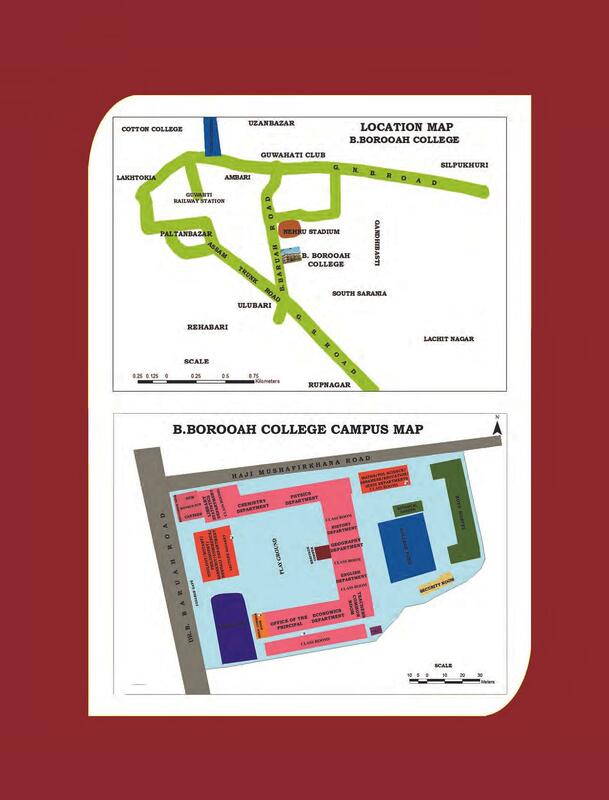 B. Borooah College is one of the premier colleges of North East India. 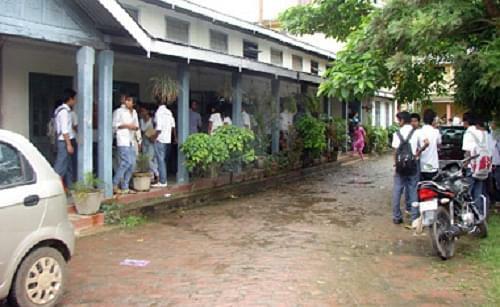 It was started as a night school to help poor students and give them an opportunity to learn while they earned their livelihood during the day. 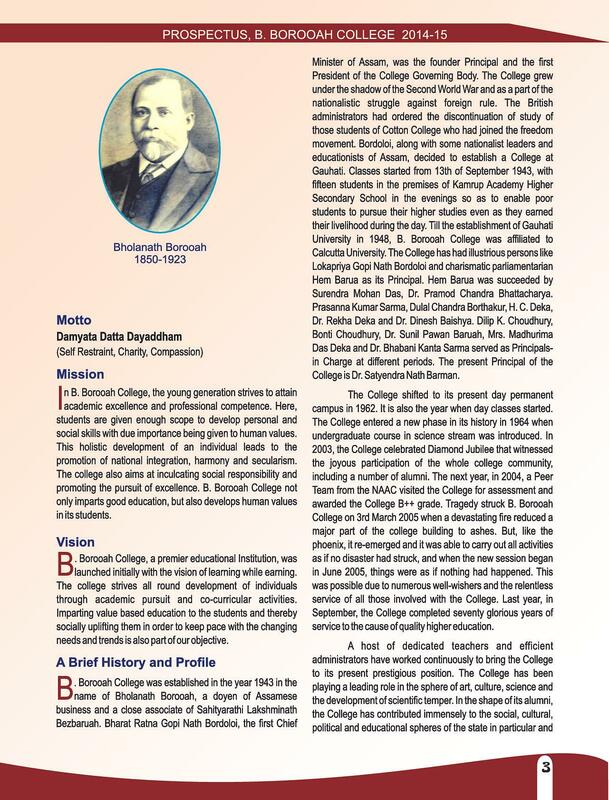 The college has been associated with illustrious and notable personalities over the years. 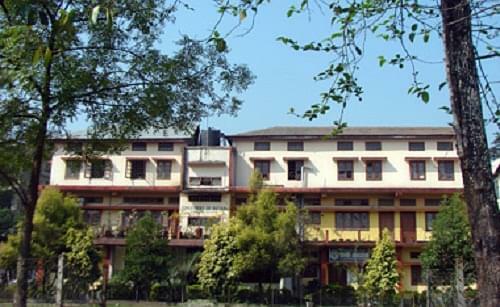 The college strives to provide knowledge and impart skills for developing the overall personality of the students. 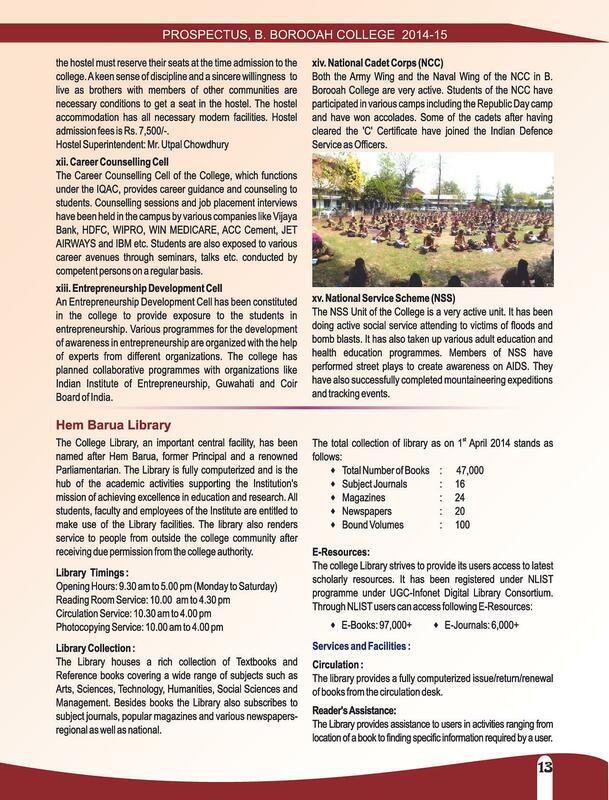 It also focuses on bringing social upliftment to be at par with the changing pace and trends in our society. 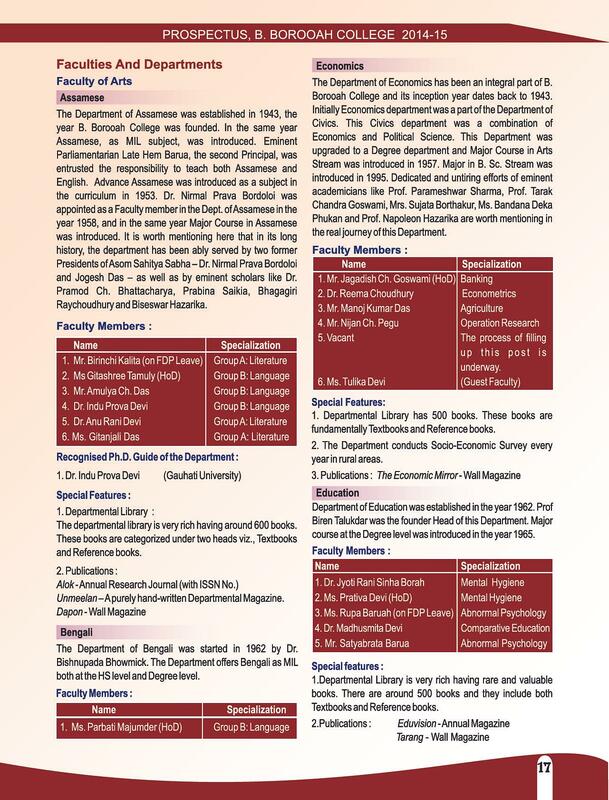 World Class Facilities in Library – Reference and Award winning authors’ books collection, fully computerized with Internet facilities. 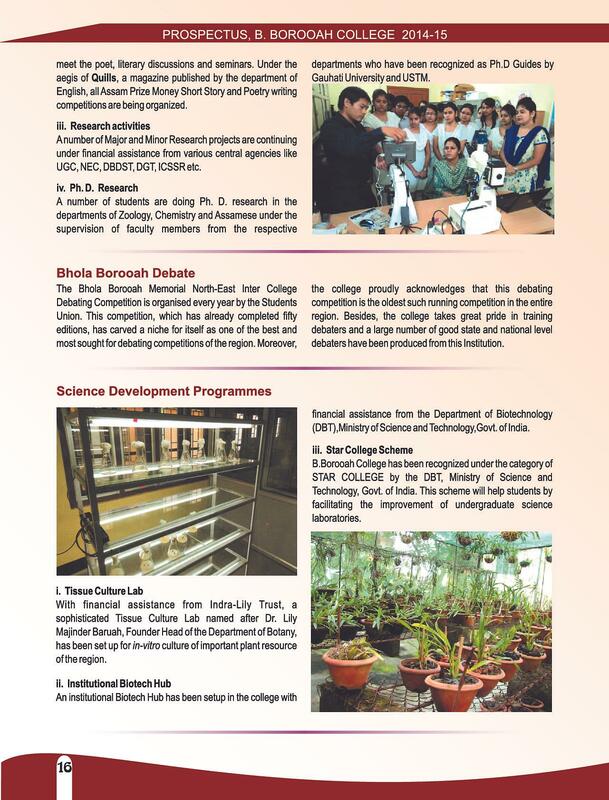 Research projects in various fields – UGC funded National projects are going on under the guidance of notable faculty members. Career Counselling – A program for career counselling has been started which has helped students crack competitive exams like GRE, TOEFL, GMAT, GATE etc. The selection is based on merit, and for getting into any dept you have to give entrance exam of respective dept.